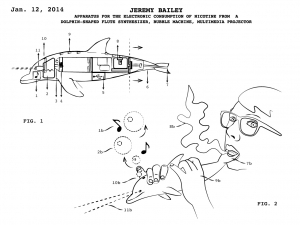 In Patent Drawings Bailey creates drawings in the style of technology company patents. Many of the drawings are of performances and videos Bailey has brought to life over the last decade, some though are unrealized concepts in reference to future projects. The patents themselves do not exist, nor have they been officially filed, they exist only as drawings. Counter intuitively the drawings are also available in large editions; Bailey even sometimes gives away poster art versions of them. In so doing Bailey recasts the patent as a promotionally superficial calling card, something of little more than symbolic value. This is in contrast to the historical significance of the patent as an asset of great value. The work reflects upon a software and technology sector mired in patent abuse. Prior to a change in the law in 1994 it was nearly impossible to file a patent for software but today millions of patents are filed for software every year, more than any other type of patent. Traditionally software could not be patented because it was deemed too abstract, the danger being that they may be open to interpretation and therefore may unjustly inhibit future innovation. The term Patent Troll exists in reference to companies or individuals that seek out these types of broad patents and threaten lawsuits against those who may have inventions of vague similitude. This problem has become so rampant that many technology companies have stockpiled hundreds of thousands of patents as defense in potential countersuits. By devaluing the patent Bailey aligns himself with the spirit of free expression and reference made popular by the Internet, and the open source software movement. 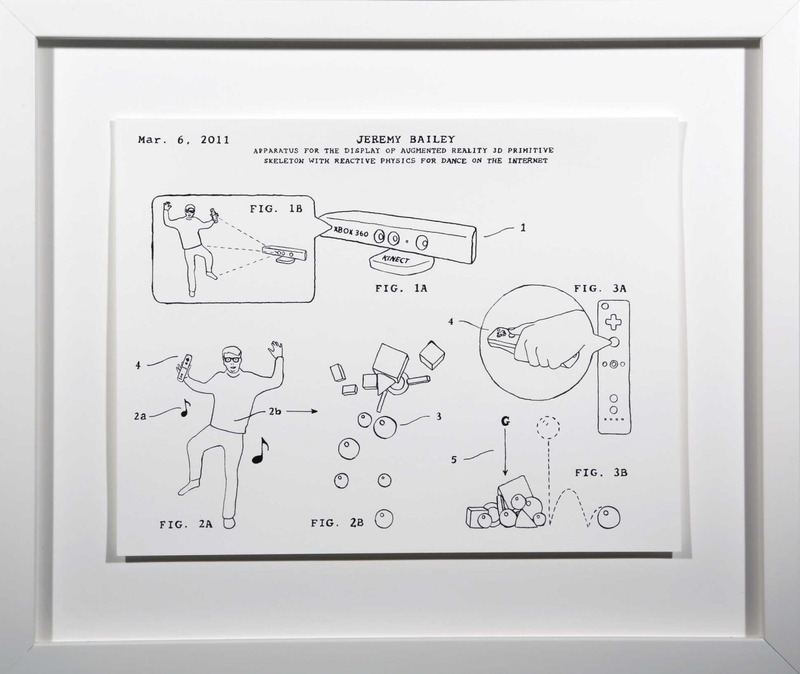 By appearing to patent his own artwork he also pokes fun at the absurd artist who claims to be the first in any subject matter, material, technology or conceptual framework.